The First Annual Health Technology Symposium was held at the UNC Health Sciences Library on February 23, 2018. The theme of the event was “Digital Health Everywhere”, and the symposium spanned a wide range of digital health topics. Speakers included UNC researchers, students, and library staff, as well as representatives from industry, government, and non-profits. Topics ranged from app development for different user groups, novel devices for research, ethics in digital health work, and more. Digital health is a growing area of research, clinical care, and education. New devices, mobile apps, software, and data sources are radically changing all of these areas as we move to the future of medicine. Traditional health technology hasn’t always included areas like the humanities and social sciences, the international context, cultural differences, and the interplay between academic work and the world of industry and government. 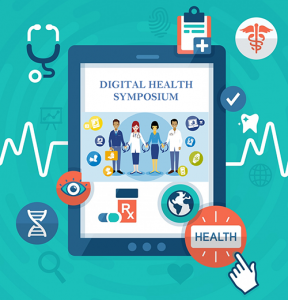 The symposium seeked to explore these areas, showcasing the library’s efforts in the field, and encouraging the expanded definition of digital health. Slide presentations, available as Adobe PDF files, have been linked below.